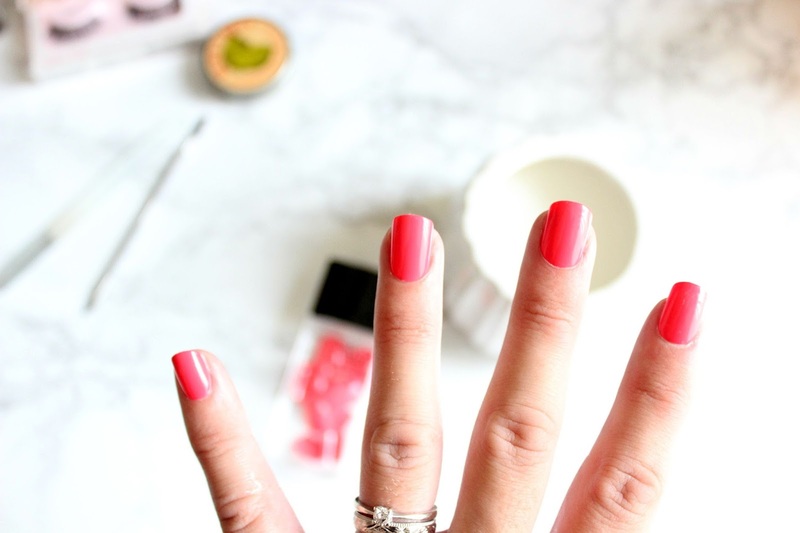 After expressing my love on the blog a couple of times for the imPRESS Press-On Manicures (here), I decided I wanted to try some from a different, more accessible brand to see how they compared. 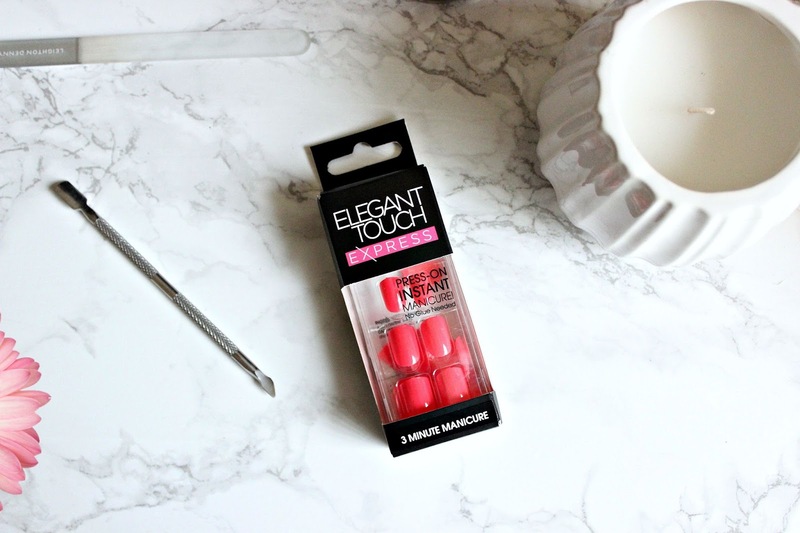 Elegant Touch are one of the most popular and easy to find false nail brands in the UK, so I thought I'd pick up a packet of their Polished Express Instant Press on Nails in the shade Bright Coral. Much like the imPRESS nails, these come with 24 nails in a variety of sizes, along with a cleansing wipe to prep the nails before application. 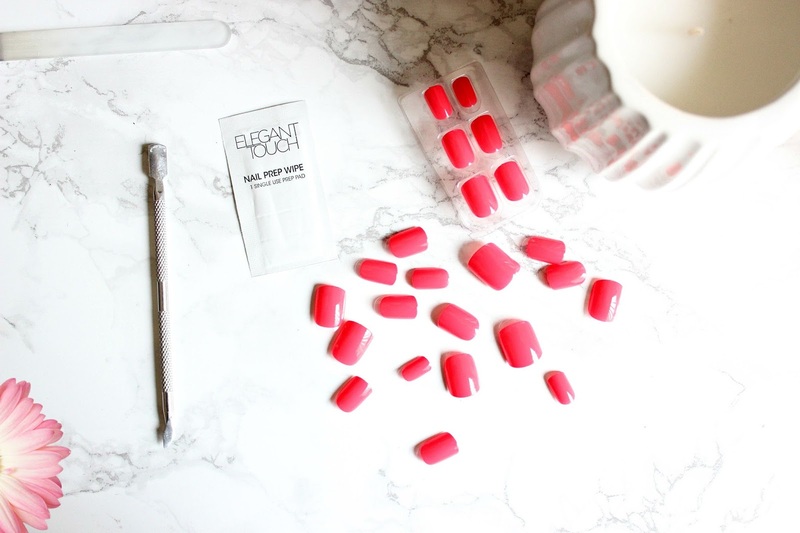 All you need to do is wipe the nails, find the sizes you need, peel off the clear tab, adhere to the nail and you're done. 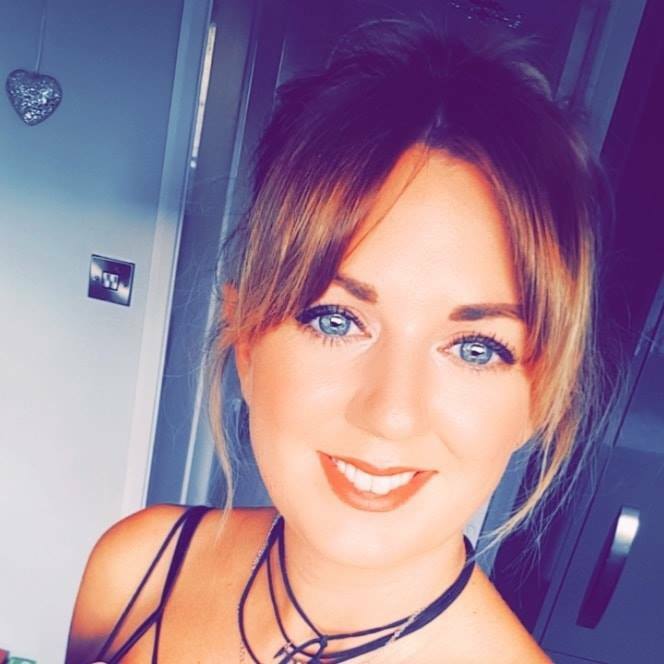 I absolutely LOVE this colour and think it's great for summer. I found they look really natural and the sizes fit well to my nails. The only problem is with these they didn't last as long as the imPRESS versions. I got 3 days out of these before losing both index and ring fingers on the same day and they all had to come off. Slightly disappointing but nevertheless I still really like these and would certainly recommend them for an emergency quick mani fix for a night out or something. Elegant Touch Express Instant Press on Nails retail at £7.99 and come in a variety of colours and nail art designs.